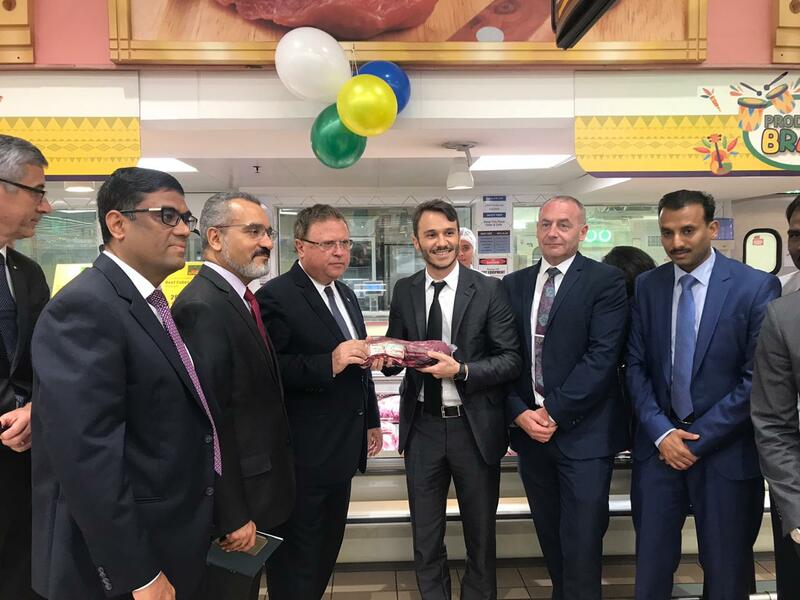 Cooperfrigu Alimentos promotes on Wednesday (31/10) in Abu Dhabi a visit and meeting with the participation of the Minister of Agriculture, Blairo Maggi and Brazilian Ambassador to the United Arab Emirates, Fernando Igreja. The meeting took place at the head office of LuLu Group International. LuLu Group International is a highly diversified conglomerate strategically positioned in the Persian Gulf region, among others. With annual revenues of approximately $ 7.4 billion, it is a world-renowned food supplier with local retail operations. They have 152 distribution centers and operate in 31 countries throughout the Middle East, Asia, the USA and Europe. The meeting, sponsored by the Export Director of Cooperfrigu, José João Stival Júnior, aims to consolidate Brazil’s partnership with this local market and authorities from both countries, as well as expand markets in the Arab region, such as opening of 8 new supermarkets in Cairo, Egypt.